With infrastructure aging, switchgears may become inefficient and compatibility issues arise with modern equipment’s. 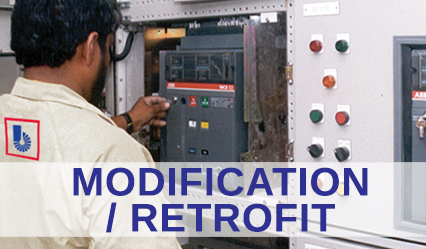 Replacement of full switchgears may turn expensive and, in such cases, we offer Retrofit services with minimum downtime. Our retrofit team will do the on-site analysis to suggest the best solutions specific to the existing system. We can assist you with engineering and manufacturing of extension or upgrades, provided with the original specifications or documents ensuring compatibility.